Not bad stats, 2014. This year has been amazing, hard, overwhelming, busy and encouraging all in one. It has been a year in which I have struggled to take in the terrible news going on in the world, feeling too much horror and pain at all that has happened. It has been a year in which I have finally felt like I am gathering together my ‘adult life’, gaining confidence in my abilities and dreams. It has been a year in which I have pulled my loved ones close to me and felt very grateful for what I have. My friend Megan put it perfectly when she said ‘things are good even when they are hard’- it might not always be easy but I am still so lucky to be living this life of mine. 2015 feels like it is going to be an incredibly important year- the year I am getting married, the year of really settling into our home, the year of working out what I want to do and doing it. I’m keeping my fingers crossed that I can make it the year I want it to be. The end of the year also seems like the right time to say thank you so much for being part of this space, for reading and commenting. I can’t really explain the happiness it brings without sounding like an utter loon so just take my word that I am really, really grateful to have you all around! I hope the next year brings you everything you could wish for. 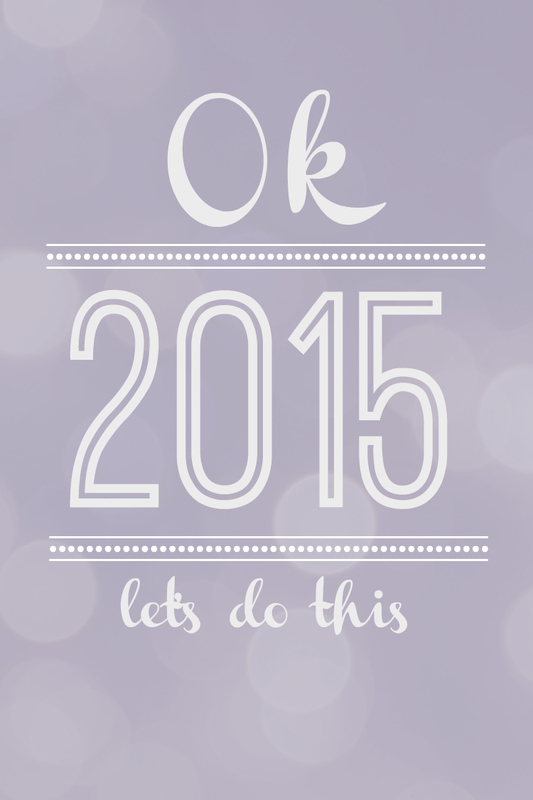 OK, 2015, let’s do this.